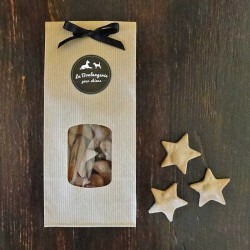 Seasonal flavoured dog treats, using only 100 % naturel and organic ingredients. 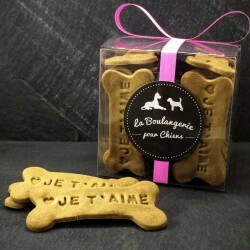 A great gift idea for dogs and puppies. Seasonal There are 11 products. 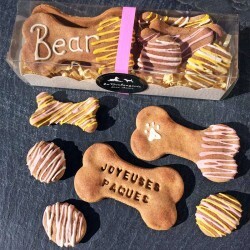 Show your dog some love with a selection of plain and decorated biscuits, mini friandises and stacked cookies, made with 100% dog-friendly organic ingredients. 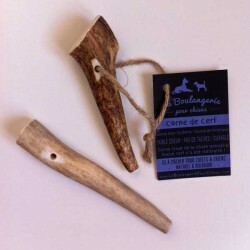 Great for teeth and a good source of minerals, these antler dog chews for puppies and toy breeds are made from the nutritious tip of the antler. 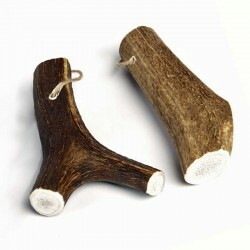 Deer antler dog chews for dogs of medium size - great for teeth and a good source of minerals. 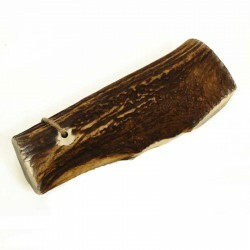 Premium grade, naturally shed antler from wild roaming deer. 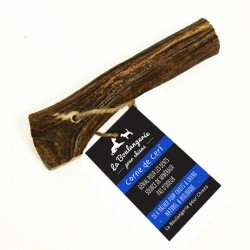 Suitable for large dogs. 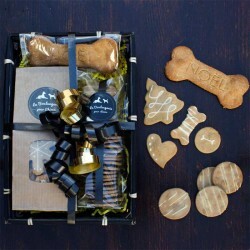 A selection of organic biscuits and friandises presented in a Christmas gift basket for puppies and dogs. 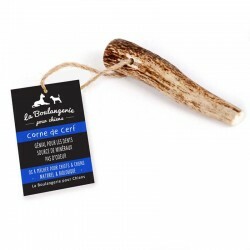 Perfect for larger breeds, our Extra Large antler chews are responsibly sourced, traceable and sustainable. 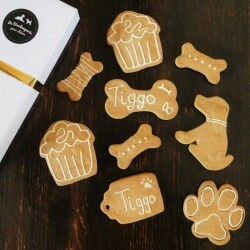 Show your dog some love with these crispy organic gingerbread cookies, with a heart ❤ and their name or a short phrase stamped on each cookie. 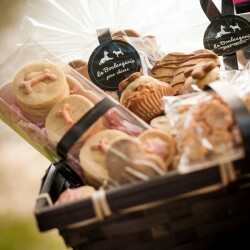 An assortment of 8 organic Easter biscuits, presented in a gift box.